The Core Shack — Millrock Resources Inc. The following infographic breaks down everything you need to about the metal.The future goes through lithium. 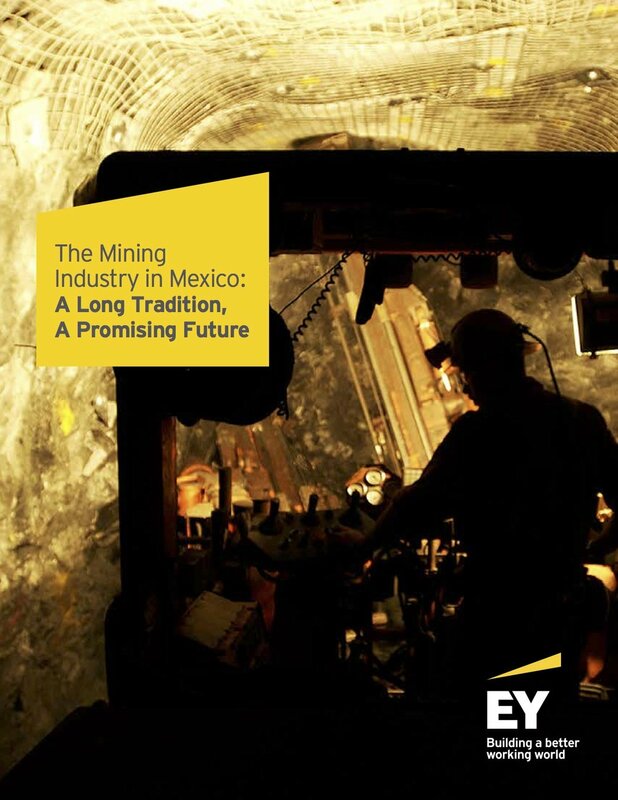 Recently, EY published a brief report on the state of mining in Mexico. 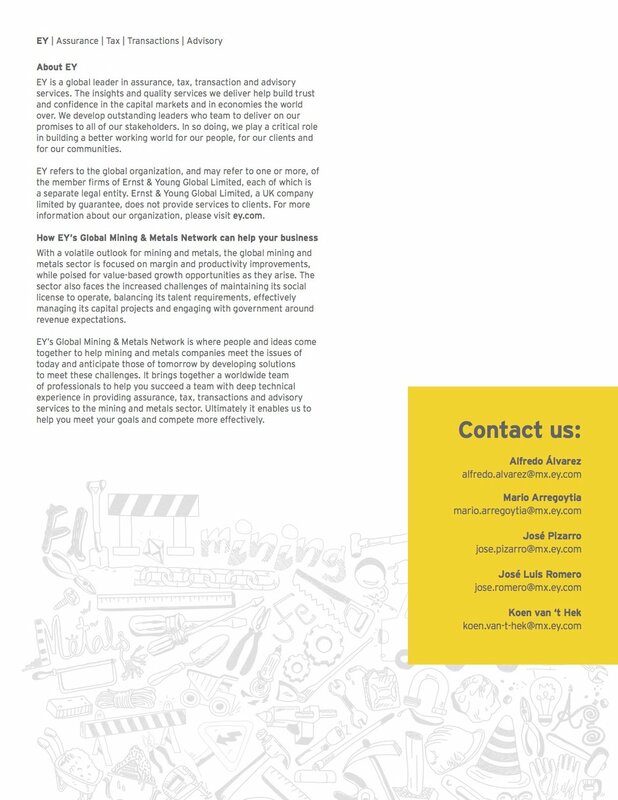 We have distributed it here for your ease and if you have any questions or would like to discuss any of our Mexico activities,, please do not hesitate contact us. All credit and ownership belongs to Deloitte & Touche LLP and affiliated entities. 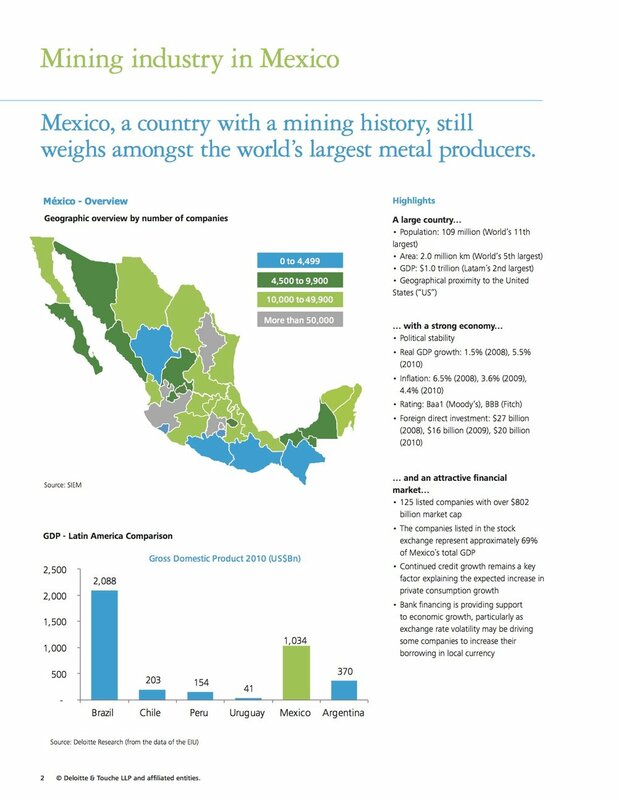 Recently, Deloitte published a brief report on the state of mining in Mexico. We think most investors should consider investing in mining stocks as part of a diversified portfolio. 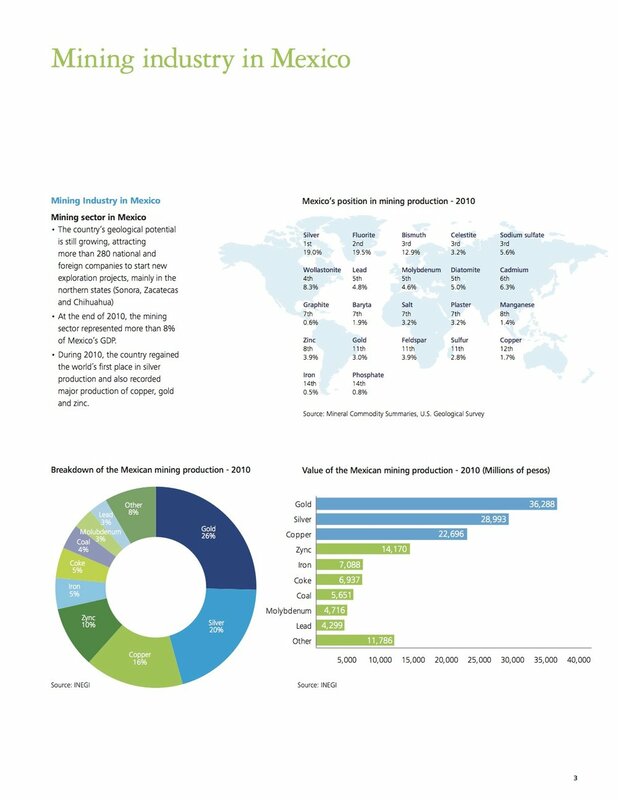 Mining stocks are investments in companies that produce or explore for minerals, such as uranium, coal, molybdenum (which is used in steelmaking), copper, silver and gold. Mining stocks can generally be broken up into two categories, majors and juniors. Majors are typically mining companies that have been in the mining business for many years and more often than not they operate producing mines on a global scale. 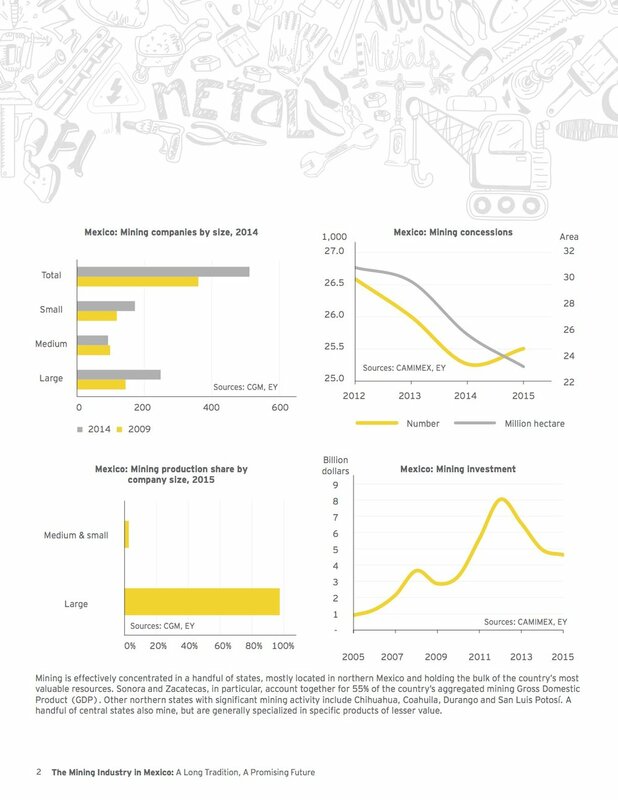 Majors have proven methods for exploration and mining, and have consistent output year over year. Junior mining stocks are usually smaller companies and take on risky mining exploration. If a junior mining stock is successful at finding a mineable mineral deposit, it can mean huge returns for investors. While junior mining stocks may offer some speculative appeal, we continue to recommend that you cut your risk in the volatile resource sector by investing in mining stocks of well-established mining companies with high-quality reserves. However, resource stocks (and this includes oil and gas, of course) should make up only a limited portion of your portfolio—say less than 20% for a conservative investor or as 30% for an aggressive investor. Focus on stable political regions: We generally stay away from mining companies operating in insecure and politically unstable regions like the Congo and Venezuela, or in countries with little respect for property rights and the rule of law, like Russia or Mongolia. Mining is inherently a politically vulnerable business; you can’t move the mine to another country, and local citizens sometimes believe that a foreign mining company is robbing them of their birthright, even though they need the foreign company’s capital and expertise to get any value out of the ground. Invest in mining stocks as a hedge against inflation: Many investors buy mining stocks, including gold stocks, as a hedge against inflation, and some mining stocks pay dividends. But most mining stocks also offer an inflation hedge—they rise along with commodity prices and inflation. Aim for a dividend yield: Copper stocks generally have higher dividend yields than gold stocks because they have steadier demand and more stable prices. As well, they’re usually much cheaper than gold stocks in relation to their earnings and cash flow. That means they potentially have less room to fall if markets in general fall. That’s also another way of saying that they can be less risky than gold. Consider investing in mining ETFs—especially for gold and silver: Gold and silver could well regain their highs and move up even further over the longer term, although they will likely remain volatile. Higher prices would arise from investor fears that inflation or global political and economic instability will hurt key currencies, such as the euro or the U.S. dollar. If you want to hold a number of gold or silver stocks, many exchange traded funds offer top-quality global miners and low fees. Look for longevity in reserves: When you invest in any resource stock, gold included, you need to look at how long the company’s reserves are likely to last. Those with low reserves need to have consistent success in their exploration programs to maximize the production of the mine and the surrounding area. That success is far from guaranteed. Invest in stocks with a broad base of operations: Even if the company has strong reserves, the best mining stocks with the least risk also have a diversified reserve base. That way they are not dependent on a single mine’s production or political stability in any one country. Mining companies can also increase their reserves by making acquisitions—with mineral prices down from their record highs, you may see an increase in mining company acquisitions at distressed prices. Look into steady production: Some of the most highly promoted mining stocks, including gold mining stocks, are penny stocks which have yet to produce an ounce of gold or other minerals. Many must still add to their reserves, invest in mine-feasibility studies, and raise a lot of money before they go into production. The prospects for most of these penny-mine properties, even though they may be in areas with production from existing mines nearby, are far from certain. Seek strong reserves, low production costs and mines that are already producing: Good mining stocks have a range of development projects, but their strong base of production cuts the risk of relying on new developments alone. Focus on established areas: When we recommend mining stocks, we prefer those that operate in an area with geology that is similar to that of nearby producing mines. Think like an environmentalist: We look at environmental constraints where juniors are looking for minerals. In Europe and certain parts of the U.S, they need a particularly rich find to justify the costs of overcoming environmentalists’ objections. Invest in well-financed mines: We look for well-financed mining stocks with no immediate need to sell shares at low prices, since that would dilute existing investors’ interests. The best junior miners have a major partner who has agreed to pay for the drilling or other exploration or development, in exchange for an interest in the property. Look for strong balance sheets: The best mining stocks all have strong balance sheets and low debt. Pick the right location: We want to see favourable factors, like strong mineral showings from extensive drill programs, before we recommend investing in mining stocks that operate in hostile environments, like the high Arctic. Avoid hype: We avoid investing in mining stocks that trade at unsustainably high prices due to broker hype or investor mania about the underlying commodity (such as gold). Instead, we focus on reasonably priced mining stocks with favourable geology. Look at the market cap: We always look at the market cap of gold mining stocks versus the estimated value of the mineral resource they have in the ground. Sometimes, a company’s marketing efforts are so successful that they drive the stock up too high in relation to the size of its ore body. For example, we like a gold stock’s market cap to be no more than half the value of the gold. We assume that the company will be able to expand its ore reserves after the mine opens, but if the mineral reserves are double the gold mining stock’s market cap, it provides a margin of safety. Seek high average daily trading volume: This is one positive factor to look for when picking junior mining stocks. The more actively traded junior mines are, the more liquid they are, which makes them easier to dispose of when it’s time to take profits. Avoid mining stocks that trade at unsustainably high prices: This is usually due to broker hype or investor mania about the underlying commodity (such as gold). Instead, we focus on reasonably priced mining stocks with favourable geology. Identify a partner: The best junior mines have a major partner who has agreed to pay for the drilling or other exploration or development, in exchange for an interest in the property. Think twice about gold bullion: Gold bullion investments have hidden costs that dramatically eat into your earnings potential over time. Gold bullion and gold coins require insurance and special storage plans which will incur costs for as long as you keep them. Invest in gold stocks instead of bullion: Invest in gold through gold-mining stocks. Unlike bullion, these stocks at least have the potential to generate income. High-quality gold stocks can pay off nicely by establishing new mines and raising their production, even if gold goes sideways for a lengthy period. But keep in mind that no matter how appealing they look, you should limit gold stocks to a modest part of your portfolio. Although investing in mining stocks can be highly volatile, they often make good long-term investments. They may be well-known stars or quiet gems, but they do share one common attribute—they have grown at higher-than-average rates within the mining industry, or within the market as a whole, for years or decades. Do you have a process when you’re investing in mining stocks that you’d like to share? What else would you add to this list? Share your experience with us in the comments. If it isn't grown, it has to be mined. You've probably heard some variation of this saying. It is used by people concerned about the environmental effects of mineral depletion as well as people bullish on mining stocks. Although these two groups have a very different emphasis when they speak it, they are both right - mining is big business. Almost every commercial product has elements that started off buried beneath the earth. Here are a few things that you should know before adding mining stocks to your portfolio. Mining stocks are truly two distinct groups: majors and juniors. The majors are well-capitalized companies with decades of history, world-spanning operations and a slow and steady cash flow. Major mining companies are no different from large oil companies, and many of the same metrics apply with a mining twist. Both have proven and probable reserves, except mining companies break down profit and cost on a given deposit by ton, instead of barrel. In short, a mining major is easy to evaluate and easy to invest in. The junior mining stocks are very nearly the exact opposite of mining majors. They tend to have little capital, short histories and high hopes for huge returns in the future. For the juniors, there are really three fates. The most common is failure, which leaves a hole in everyone's pocket, including that of the banks and investors. The second fate occurs when a junior has enough success to justify a major paying a decent premium to gobble it up, leading to decent returns all around. In the third and most rare fate, a junior finds a large deposit of a mineral that the market wants a lot of; it is a magical combination of the right deposit at the right time. When this happens, juniors can return more in a few days than a major will return in years. Although majors and juniors are very different, they are united by the one fact that makes all mining stocks unique: their business model is based on using up all the assets they have in the ground. The catch is that mining companies don't know exactly how much is in a given deposit until it is all dug up. Therefore, the value of mining stock roughly follows the market value of its reserves, with a premium paid to companies with a long history of successfully bringing those reserves to market. A junior mining stock sees the most action leading up to, and immediately after, a feasibility study. If the study is positive, then the value of the company may shoot up. The opposite, of course, is also true. Often, a junior miner won't mine a feasible deposit to the end. Instead, they sell the deposit (or themselves) to a larger miner and move on to search for another one. In this sense, junior mining stocks form an exploration pipeline that feeds the major miners in the end. In this view, the big risks and rewards mostly reside at the junior mining level. This is a primer and as such, suffers from being overly broad and simplistic. Before you invest in the mining sector, you should probably know what greenfields exploration is, how to estimate the impact of pricing risk and be able to hold forth on the dangers of buying on a single positive assay. If you are keen enough on mining to do some research, then there is probably room in your portfolio for both mining majors and juniors. This is a story about past, present and future in a mineral-rich corner of the North American continent. High-grade gold mines like Snip and Eskay Creek helped give northwestern British Columbia its Golden Triangle moniker. If those two operations are symbolic of the region’s rich past, Red Chris holds a strong claim on the present. The Imperial Metals (III-T) mine is the latest to go into production. This year Imperial expects to pull out more than 90 million pounds of copper and more than 60,000 ounces of gold from Red Chris, a large copper-gold porphyry deposit. Red Chris feeds into the government funded Northwest Transmission Line, a 344-km 287-kilovolt power line completed in 2014 at a cost of more than $700 million. Imperial Metals built a 93-km extension to the new power line to feed Red Chris. So the infrastructure push — the power line, roads and new Hydro projects — in the Golden Triangle is a major reason for present-day optimism about revitalization. Bob Quartermain, CEO of Pretium Resources (PVG-T), stands on the cusp of a new golden age in the storied Canadian mining jurisdiction. Pretium’s Brucejack high-grade underground gold mine is taking shape in rugged mountains 65 kilometres north of Stewart, near the Alaska panhandle. Production at the fully funded mine is pegged for the thirdquarter of next year. Pretium is building the mine's foundation and April is a critical month, as Quartermain and Pretium march towards a goal of commercial production. Construction of the mill buildings starts this month and the skeleton of Pretium’s transmission line will also begin to take shape. The mill structure is slated to be finished by the fall so work on the mill — which will process 2,700 tonnes of ore a day — can continue inside through the winter. The mine site is a beehive of activity, with about 700 employees and contractors at work building the permanent camp and bulldozers and backhoes moving earth. It’s been a long, winding journey from Pretium’s IPO on the Toronto Stock Exchange in December of 2011, the year gold briefly touched US$1,900 an ounce. If Pretium can execute — annual production at the Valley of the Kings is pegged at 500,000 ounces in Years 1-8 — the company will join the ranks of giants. On its heels are several companies in the area advancing discoveries or reviving historic projects. And in the Golden Triangle, the past is close behind. Ron Netolitzky’s Skeena Resources (SKE-V) demonstrated that recently with the acquisition of the historic Snip mine from Barrick Gold (ABX-T). Netolitzky’s Delaware Resources discovered Snip in the mid-1980s and was later bought out by Murray Pezim’s Prime Resources after running from under a dollar to $28 a share. Snip went on to produce more than a million ounces at average grades of 25 g/t for Cominco and Homestake Mining before closing in 1999 due to low gold prices. Its discovery also sparked a staking rush that revitalized the gold play and paved the path to Eskay Creek. That mine, another Netolitzky discovery, produced 3.27 million ounces of gold at grades of 49 g/t and 158 million ounces of silver at 2,406 g/t — many multiples of average global precious metal grades. Barrick gives them a chance to prove it. Major infrastructure upgrades — including roads and the transmission line — have reshaped the landscape, making a Snip restart potentially more attractive. There are also earlier-stage plays with upside in the Golden Triangle, and one of the most promising is Millrock Resources (MRO-V). A new player in the region, Millrock is a prospect generator that built its foundation in Alaska and Sonora, Mexico. On Dec. 14, Millrock announced it had assembled three major land packages covering roughly 600 square kilometres in the Golden Triangle — Todd Creek, Poly and Oweegee Dome — including two projects adjacent to Pretium’s Brucejack. Fractured land ownership, a dead venture capital market and a lack of interest in gold exploration plays — until recently — gave Millrock the opportunity to enter the district, CEO Greg Beischer says. He admits he was a bit “surprised” that the opportunity presented itself — and Millrock acted fast. If the quality of the geological prospects was a bit of a no-brainer, securing and consolidating the three land packages was anything but easy. The deal required nine different agreements with landowners to secure the patchwork of properties and clean up the royalties, Beischer says. Millrock’s Todd Creek adjoins the southern boundary of Pretium’s Brucejack claim block, while the nearby Poly project is bisected by Highway 37A and power lines. Oweegee Dome is adjacent to the eastern boundary of Brucejack and Seabridge Gold’s KSM property, and is intersected by Highway 37 and the new Northwest Transmission Line. Millrock comes out of the agreement with a premier land portfolio and is now assembling an exploration database from a rough but extensive collection of data. Beischer’s goal is to do a JV deal with a major who would fund the data compilation and analysis in return for a right-of-first refusal arrangement. While there are some “obvious” drill targets, Beischer says Millrock wants to make sure it doesn’t miss even better targets. A summer program could follow. Millrock CEO Greg Beisher: "Waling on rocks that no human being has ever seen"
Beischer, who grew up in Toronto and now lives in Alaska, remembers flying over the Golden Triangle while working for Inco early in his career. He remembers being impressed by the glaciers and snow-covered peaks. That declining snow cover increases the potential for new discoveries, which works in Millrock’s favour — and all the Golden Triangle exploration and development players. And Millrock is not finished just yet. This morning the company announced further staking that connects the Todd Creek and Poly properties. The new tenures cover 5,391 hectares and allow assessment work credits to be spread over the entire land package. On March 21, the company had added the LNT (Lord Nelson Tenures) property, which adjoins the Poly property to the south. The expanded Poly property is now situated 34 kilometres northeast of Stewart. The claims were picked up from Geofine Exploration Consulants (GFX), a group with decades of experience in the Golden Triangle that originally optioned the properties from Teuton Resources. Beischer says his initial introduction to the Golden Triangle came via his friend Rob McLeod, the president and CEO of IDM Mining. McLeod used to work in Alaska for Beischer when the two were with Inco in the late 1990s. McLeod is developing his own highly prospective high-grade gold play in the Golden Triangle: IDM Mining’s (IDM-V) Red Mountain project, near Stewart. And the past looms rather large there, too. The company is named for Rob’s father Ian McLeod and uncle Don McLeod, gold miners and mine builders of some acclaim (there’s a Valley of the Kings connection through Don McLeod’s Newhawk Gold Mines, which once owned Brucejack). Rob is a third-generation miner — both his father and grandfather were underground gold miners. McLeod, who grew up in Stewart, had his greatest score in the Yukon, when he sold Underworld’s White Gold discovery to Kinross in 2010 for $139 million. That takeover sparked the biggest staking rush in the territory since the Klondike Gold Rush. McLeod is back exploring in the Yukon after picking up prospector Shawn Ryan’s extensive claims package in a recent deal with Oban Mining. But IDM’s flagship project remains Red Mountain, which is moving through the permitting process. McLeod actually worked at the project as a young exploration geologist with Lac Minerals. The plan at Red Mountain is to get a small, rapid-payback mine into production and grow it from there. Building a mine would cost $76 million in capex, thanks in part to historic infrastructure including a production-sized underground ramp. IDM recently announced some changes to the mine plan — including a lower-elevation tailings facility — that could make it a year-round operation. Under a previous plan, the mine would have shut down during the four months of heaviest snowfall. “A year from now we expect to begin construction on a mine that could produce more than 100,000 ounces of gold a year, with rapid payback — a year or less — and great exploration upside,” McLeod said. This morning IDM released an updated resource estimate for Red Mountain that increased Measured and Indicated ounces by 16% and Inferred ounces by 31%. At a cutoff grade of 3 g/t, Red Mountain hosts 441,500 ounces of gold at average grades of 8.36 g/t Measured and Indicated, as well as 1,379,800 ounces of silver at 26 g/t Ag. In the Inferred category, there's a further 107,500 gold ounces at 6.1 g/t Au. The new resource — as well as a weaker Canadian dollar and higher gold prices — will be incorporated into a new preliminary economic assessment expected in Q2 as well as a feasibility study targeted by the end of the year. As for Pretium’s Brucejack, Quartermain looks forward to a day not far off when the mine and its 500 high-paying jobs revitalizes the region’s economy while spinning off cash for shareholders. It’s too early to speculate, but Pretium could become a dividend payer, the CEO says. “Having just turned 60 and Pretium being the largest asset that I own, if it paid a dividend I’d be quite happy about that,” Quartermain says. He said it with a smile, but I don’t think he was joking. DISCLAIMER: Author owns shares of Skeena Resources. The work included in this article is based on SEDAR filings, current events, interviews, and corporate press releases. It may contain errors, and you shouldn’t make any investment decision based solely on what you read here. This publication contains forward-looking statements, including but not limited to comments regarding predictions and projections. Forward-looking statements address future events and conditions and therefore involve inherent risks and uncertainties. Actual results may differ materially from those currently anticipated in such statements. The views expressed in this publication and on the CEO.CA website do not necessarily reflect the views of Pacific Website Company Inc., publisher of CEO.CA. Pacific Website Company Inc. provides advertising and multimedia creation services to Skeena Resources and Millrock Resources, which makes CEO.CA biased in its coverage of those companies. This publication is provided for informational and entertainment purposes only and is not a recommendation to buy or sell any security. Always thoroughly do your own due diligence and talk to a licensed investment adviser prior to making any investment decisions. Junior resource companies can easily lose 100% of their value so read company profiles on www.SEDAR.com for important risk disclosures. It’s your money and your responsibility.